억정사지(億政寺址)에 전해오는 비(碑)로, 고려의 승려인 대지국사의 공적을 기리기 위해 세운 것이다. 직사각형의 비받침 위에, 비문을 새긴 몸돌이 올려진 단순한 형태로, 몸돌 윗쪽의 양 끝을 사선으로 잘라냈을 뿐 다른 꾸밈은 없다. 비몸돌의 네 면에는 해서체로 비문이 새겨져 있다. 이 비는 고려말에서 조선초에 걸친 과도기적 작품으로, 조형상으로는 간략한 형식이다. 비문에는 대지국사가 고려 충숙왕 15년(1328)에 태어나 14세에 출가하고 공양왕 2년(1390) 입적할 때까지의 행적을 기록하고, 대사의 인품과 학력을 기리는 내용이 실려 있다. 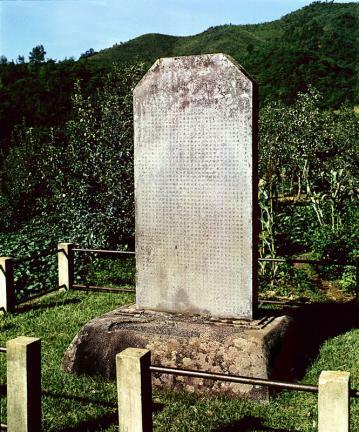 비문은 박의중이 짓고, 승려인 선진이 글씨를 썼으며, 혜공이 새겼다. 힘차고 굳센 필체로 짜임도 우수하다. 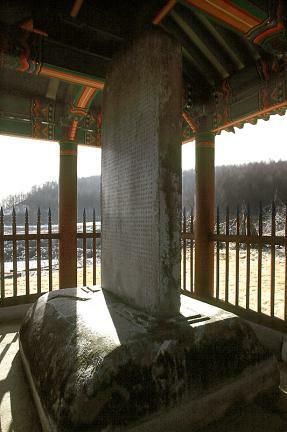 The Stele for State Preceptor Daeji was erected at Eokjeongsa Temple to commemorate the achievements of State Preceptor Daeji of the Goryeo Dynasty. 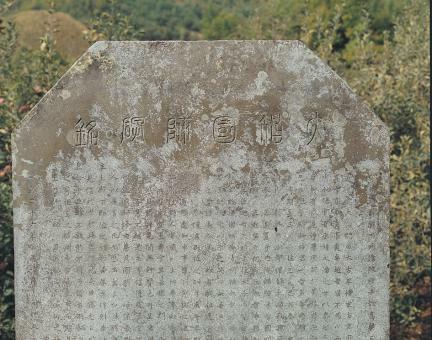 It displays a very simple form consisting of a square supporting stone and a main stone, and is entirely devoid of decorative features apart from the oblique cut on the upper edge of the main stone. 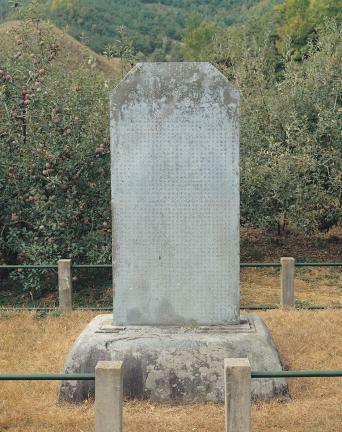 According to the inscription written on the four sides of the main stone, National Preceptor Daeji was born in 1328 (the 15th year of the reign of King Chungsuk), became a monk at the age of 14, and died in 1390 (the 2nd year of the reign of King Gongyang). It also contains statements about his virtues and great learning. 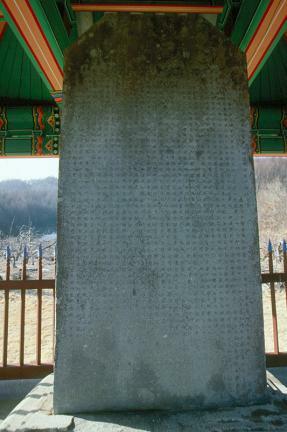 The inscription, which was composed by Park Ui-jung, written by Monk Seonjin, and inscribed by Hyegong, features a powerful calligraphic style and excellent structure. 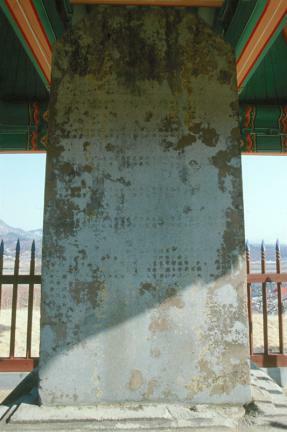 Originating from the period of transition spanning the late Goryeo and early Joseon eras, it exhibits a very simple style notable for its absence of ornamental flourishes.